Lisandro is from Argentina, but of Italian decsent, and has served and seminary studied there and in the UK. He was ordained as Elder/Deacon in the United Reformed Church in London. 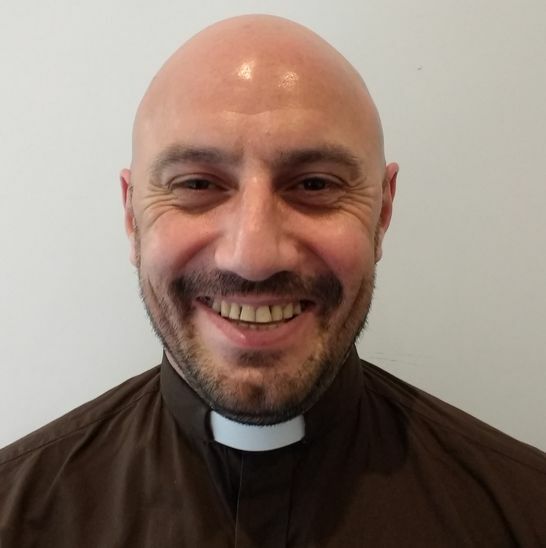 Lisandro incardinated into OCAC in 2017 and was ordained sub-conditionally into the diaconate with apostolic succession by Bishop Adrian in London. For the moment he is serving in OCAC's All Souls Metropolitan Parish (which is London). Raised to priest in London late 2017, Father Lisandro will be relocating to Argentina in August 2018 to set-up an OCAC outreach there. To that end he was raised to Vicar General for Argentina at St Aldhelms, Dorset, UK in July 2018. He carries the title Monsignor and acts on behalf of the Patriarch, Bishop Adrian, with devolved authority for the time being. Before being raised to Monsignor, Fr Lisandro took a pilgrimage to Turin and to St Gertrudes Cathedral, Utrecht.